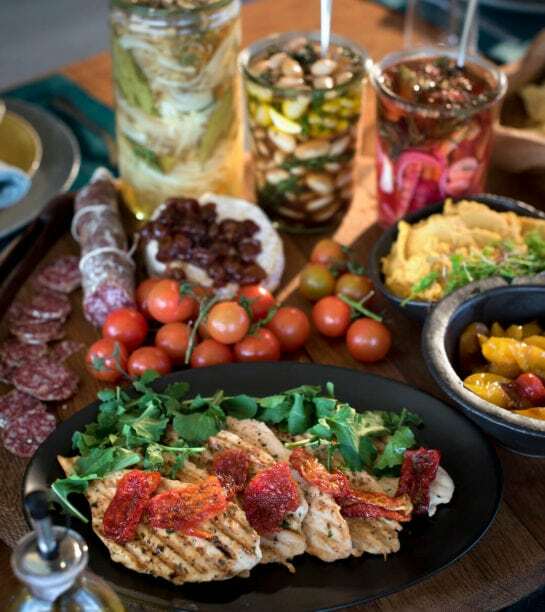 If you have a taste for adventure, the lodge dining experience at RockFig Safari Lodge will more than whet your appetite. As with every moment in Timbavati, expect the unexpected, with fresh local ingredients, impeccable service and warm smiles all adding up to a menu worthy of the venue. Spending time in the African bush both increases your appetite and sharpens your senses. 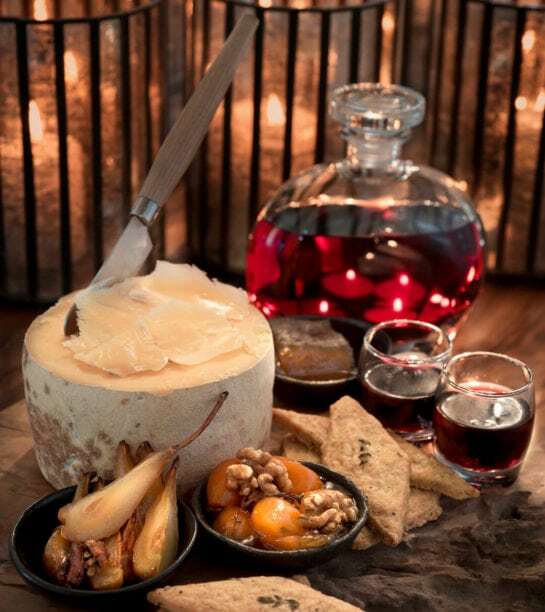 So a Timbavati game drive or walking safari – or a good night’s sleep – is the perfect preparation for the lodge-dining experience at RockFig Safari Lodge. 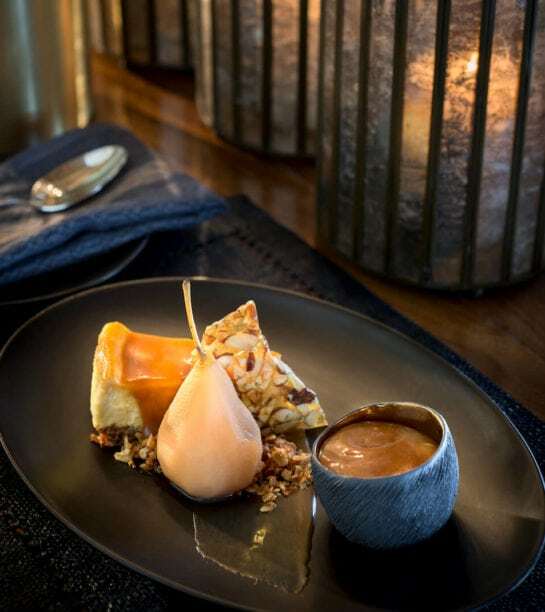 Just as this luxury South African safari lodge blends seamlessly into its surroundings, the menu reflects the richness of the location, with locally sourced ingredients – think beef and game, maize (aka corn), tropical and citrus fruits and macadamia and other nuts – making a distinct contribution to the cuisine. 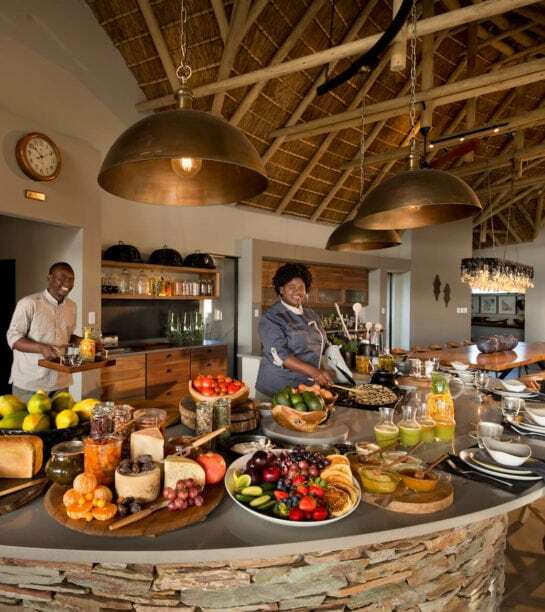 The flexibility that’s a hallmark of RockFig Safari Lodge activities carries over into the kitchen. So much so, in fact, that the long indoor and outdoor dining tables (perfect for telling tall tales) are just two of the places you could find yourself eating. 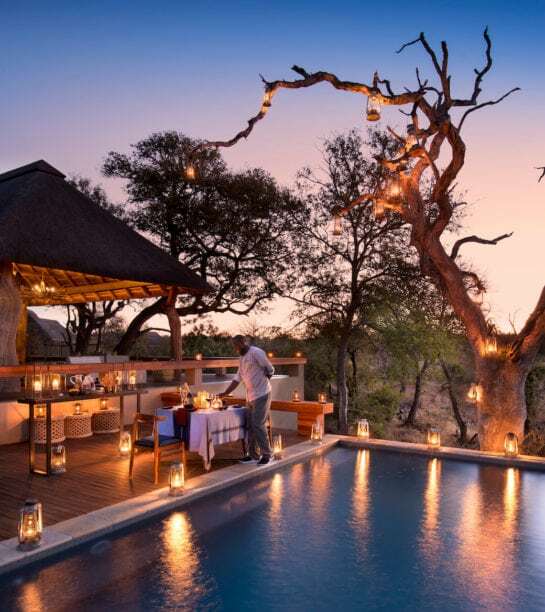 Enjoy a romantic dinner in your room, toast to a special occasion on your private verandah, or mix it up on the guest deck or by the pool, both overlooking the waterhole. If your family includes junior MasterChefs, they’ll love watching from the kitchen counter as their meal is prepared – or choosing ingredients for their own homemade pizza (now that takes some topping!). Having one of the guides join you for lunch or dinner provides the opportunity to discuss the day’s sightings, and gain deeper insights into the wildlife behaviour you’ve witnessed. The five-star butler service is attentive without being intrusive, and unique safari touches serve to remind you that your taste buds are not playing tricks: you really are in the middle of the bush. Luxurious yet leisurely, eating at RockFig Safari Lodge can be as formal or informal as you like. Tell us when and where, and our jovial team will be there with anything from kudu carpaccio to an ice-cream sandwich. We’ll also take any dietary requirements in our stride. Buffet or à la carte, the almost all-inclusive offering (which excludes only the very high-end drinks you might choose for special celebrations) is a delicious blend of fine linen, beautiful glassware and easy living. We individually tailor in-camp dining, allowing our guests to choose between company or privacy on any given occasion.